Discussion in 'iPhone and iPad Games' started by Kiwiwalks, Oct 23, 2016. Supporting Language : English, Japanese, Chinese This is the story of Luna, the Moonlight Witch as she sets out into the world. 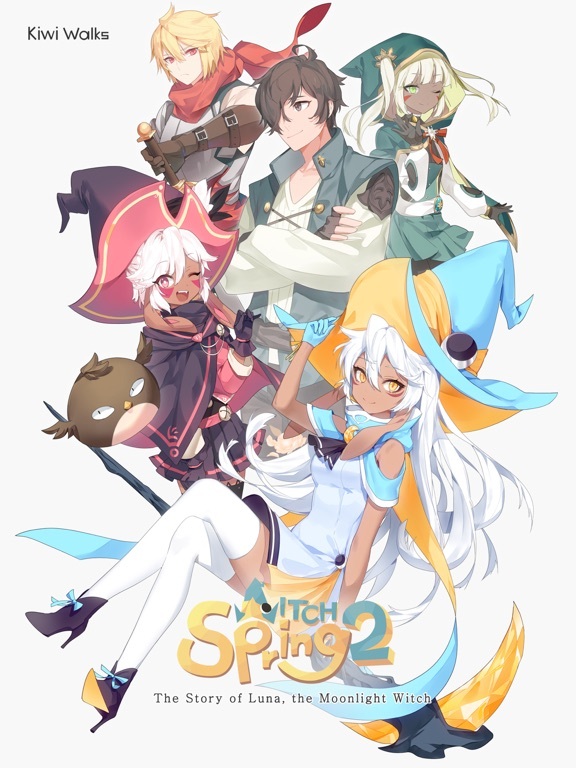 Witch Spring 2 is a story-based single-play simulation role playing game that does not require any additional purchase within the game. 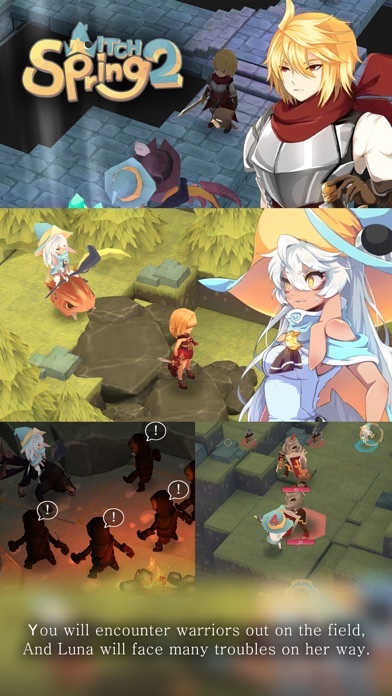 Collect items and pets outside while avoiding warriors, Craft items and magic, and combine spells at home, Train Luna by swimming, meditation, and push-ups so she can survive on her own. 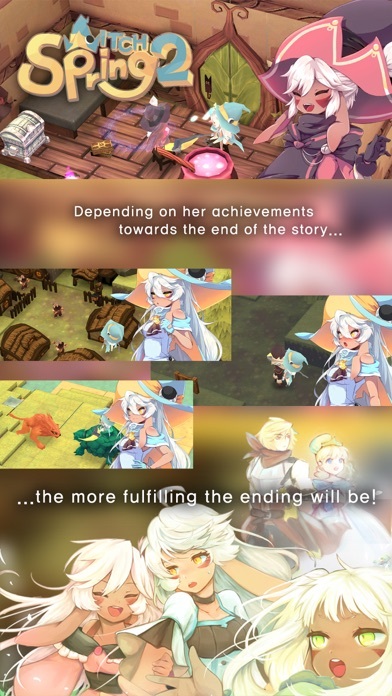 As the story carries on, Luna will meet new friends, and depending on her achievements towards the end of the story, the more fulfilling the ending will be. Please help Luna as she sets out into the world! Oh this looks great! I never played the first one as the time limit turned me off a bit but it looked really impressive. Maybe this one is even better? Ahh decisions..
Hopefully the game length of this one will be longer than the other's 100 days. WitchSpring has no day limit unlike WitchSpring1. Oh that's great! Do you know how long the average play time is to complete the game? Is it a shorter rpg or a longer one? And does this play similarly to the first one but more mechanics? How does it compare? 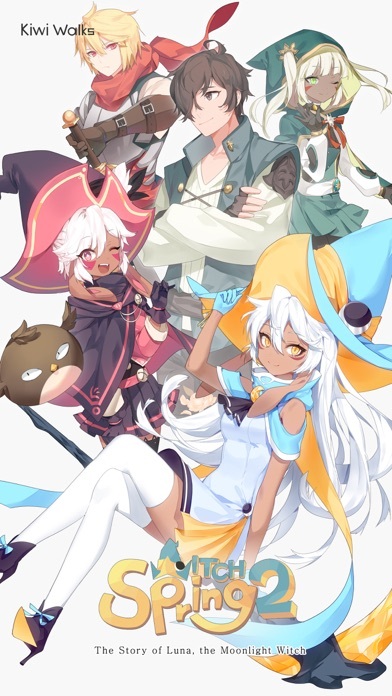 Btw the artwork is beautiful (and adorable). Great job! 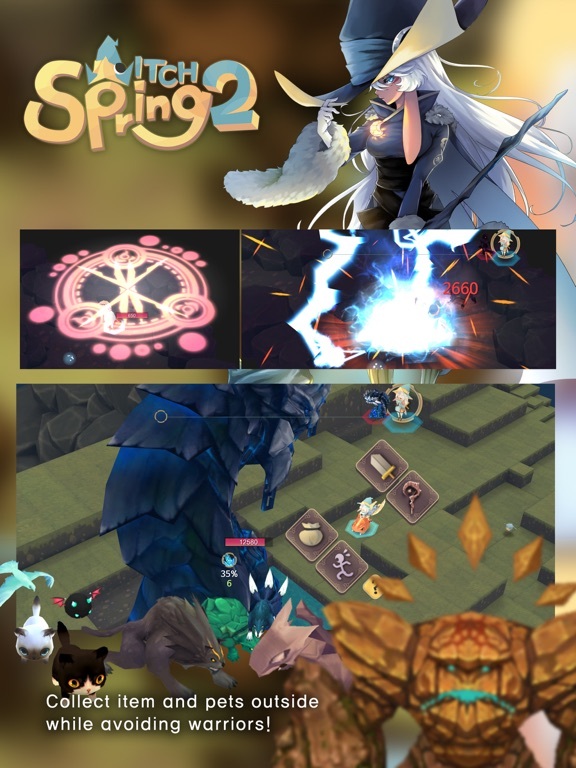 If you play in detail, WitchSpring2 average play time is about 12 hours more. Thanks so much for your interst! Thanks! I just bought it. I'll post some impressions later I'm really excited to play it. Took me a while before I downloaded it because the file size was so big that I had to clear stuff off my device. Didn't realize this game was much much bigger than the first one. Thanks a lot! I wish your good play! I looks good! pretty cool! Looks cool! Any more impressions or reviews? Should you have played the first game before this one? Looks nice. Graphics remind me a bit of Oceanhorn. Played for a little bit and I absolutely love it. The characters and conversations are super charming. Design wise it's adorable. 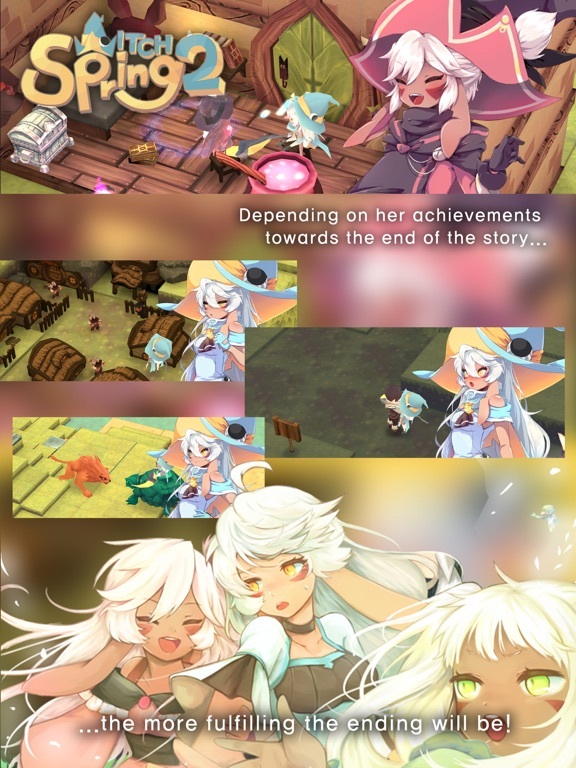 The game is a basically a simple RPG with crafting mechanics. 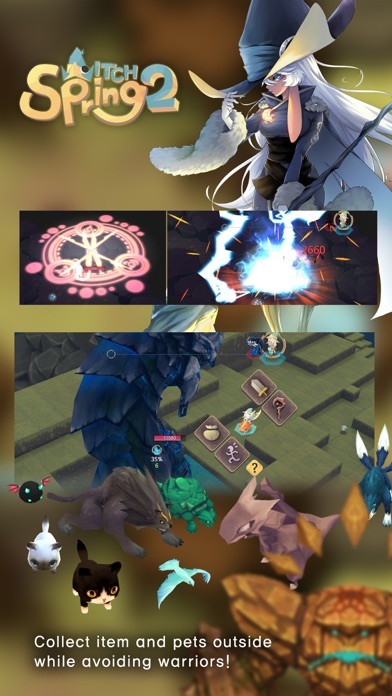 The animations for the characters and magic are really well done. The first scene with the boar drinking the water was a fun one. Judging by the map there's a pretty huge world to explore. I did my usual of starting off with a bit of grinding to get a feel for the game so I'm only in the first area but it had me hooked immediately. Seems generally easy to get craft items since they reset every time you leave the area. You can craft magic that can be put into slots which affect the stats of the magic so there is some amount of depth. The translation is also well done. Only thing I noticed is that your training (which increases your permanent stats) requires you to sacrifice part of your HP but you can just go to bed at your home which is right next to you and recover you HP. So then what's the point of this mechanic? It seems you can just train for hours and become overpowered with no sacrifice. I can see that the old game only gave you 100 days so you couldn't constantly sleep, but here I feel like this mechanic doesn't work as I don't see any consequence. Maybe I'm missing something. Anyhow, so far I'd definitely recommend this game especially if you like games that have a bit of charm in them. I played a bit like 5 mins and I got I love this game taste! The points is Playstation's Atelier series taste! not so much I can't find that kind of game. And this game is perfectly translated to Japanese! I'm really happy to see you played the first one Thank you so much! If you have some questions about WitchSpring2, Give me questions anytime! Nice to meet you! 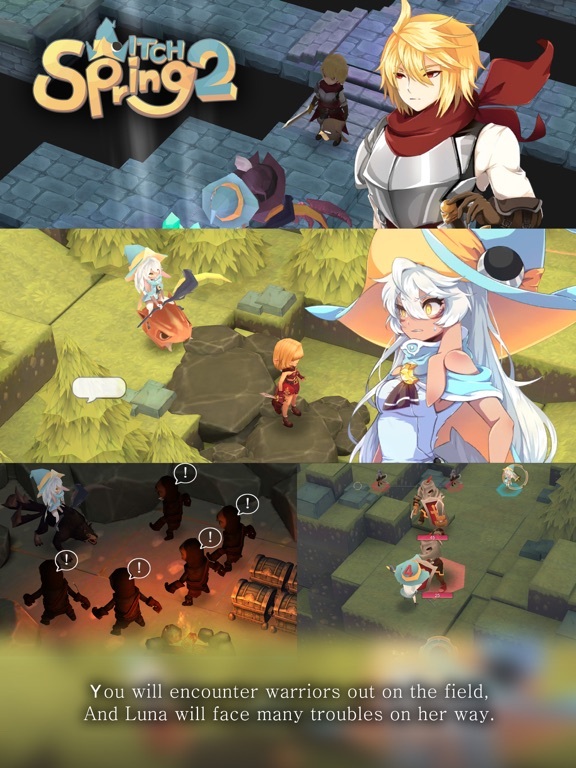 Mobile WitchSpring2 supports only device's touchscreen control. Thank you! The translator really really had a hard time to translate it She translated WitchSpring2 with a pure passion. Thank so much, the translator will be happy to hear your comment!